Top community discussions about Cookiza! Is there a better alternative to Cookiza!? Is Cookiza! really the best app in Cooking category? Will Cookiza! work good on macOS 10.13.4? Cookiza! is the community cookbook. So far, only users with the iPhone, the iPod touch or the iPad had the opportunity to use the recipes. Now there is the "More than a Cookbook" cookbook, also on the Mac. It means that all Mac users can now at long last also retrieve new culinary ideas, when it literally boils down to cook something delicious, to bake, to braise and to sizzle. 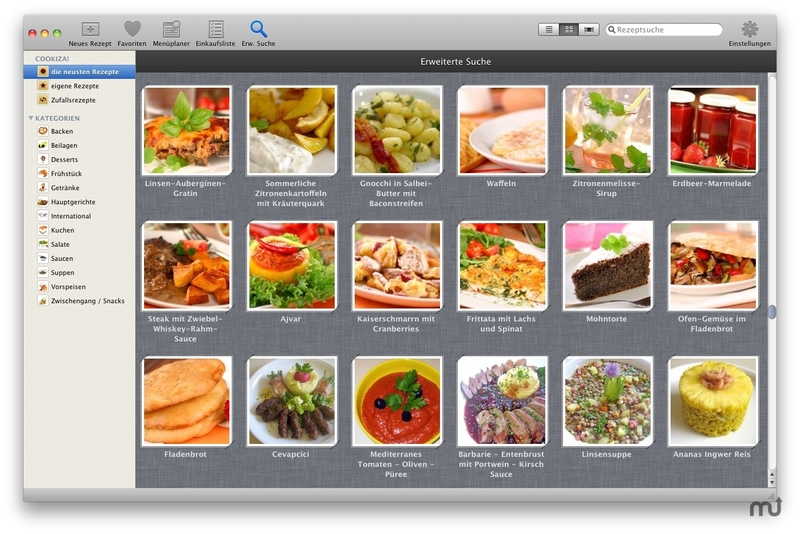 In addition, the Mac App offers a shopping list, a portion calculator and a menu planner. Cookiza! needs a review. Be the first to review this app and get the discussion started!